DISHS is offering summer learning support for students who are scheduled to take one or more Bridge classes in the fall as well as students in basic math or pre-algebra. Students will be provided personalized online instruction and practice through the Odysseyware and Khan Academy platforms targeting areas where the student needs additional practice. The web-based platforms mean that students can learn anytime, anywhere as they build their basic skills in reading, writing, social studies, and math. Offers direct instruction and practice in reading, writing, and social studies. Students are enrolled in online courses. After a pretest, students work only on the content and skills they have not yet mastered. Additional help can be found in the student user guide, attached to the bottom of this page. Video tutorials have been created to demonstrate how to use and get the most out of Odysseyware. 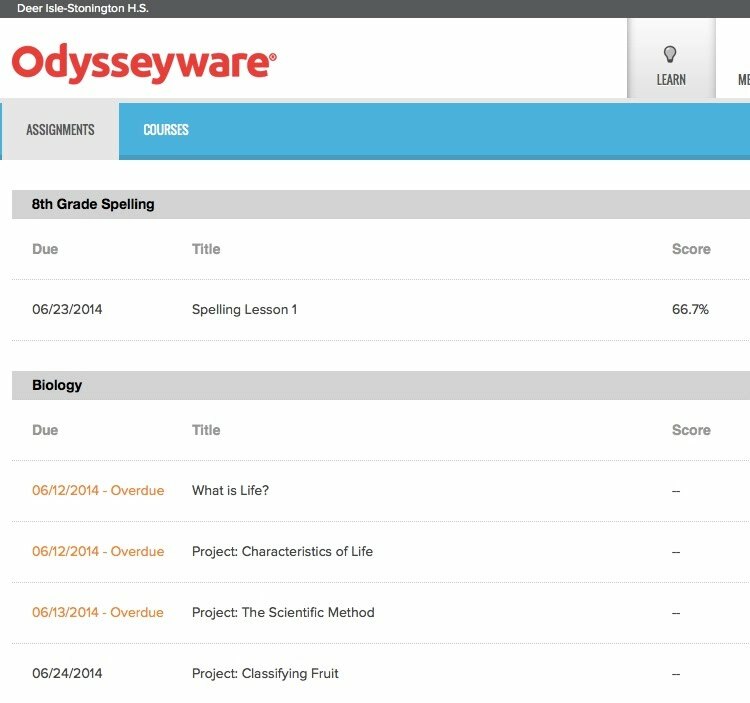 Blocked Assignments: Odysseyware is programmed to block student progress if they attempt an assignment twice and do not score high enough to pass the assignment. This means you may need some extra help before trying the assignment again. Please visit Mr. Talbot in the Learning Center to get help; once Mr. Talbot feels you are ready to be successful on the assignment, he will unblock it.